There is a shadowy figure that lurks in the background for some people. I’m talking about anxiety. Anxiety affects about 20 percent of adults in the United States, but we are lucky if the topics works its way into even one percent of our conversations. Anxiety is a dark ink blot on a white sheet of paper. We tend to go on living like nothing is wrong, but it’s still there in our periphery and can be deeply upsetting. If anxiety is so common, why is it so difficult to talk about it and seek treatment? 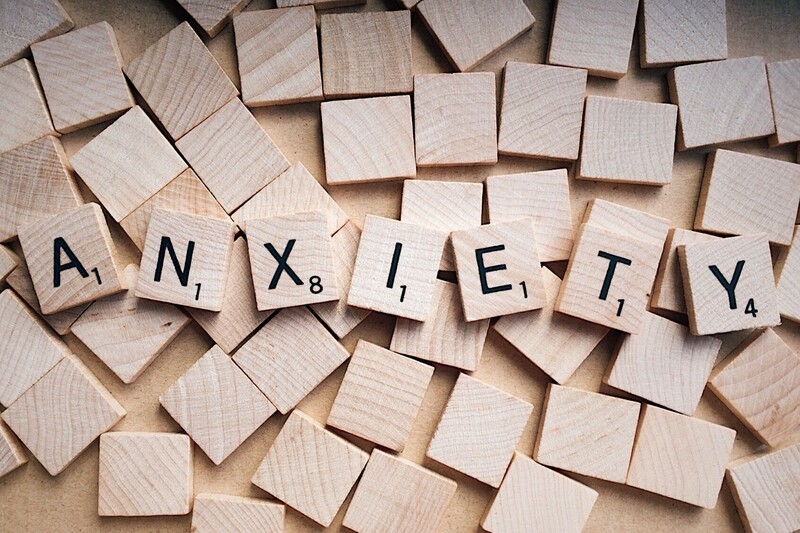 Only 36.9% of adults with an anxiety disorder are currently receiving treatment. The problem is not a lack of treatment options; treatment is available and effective. Then, why do people take so long to seek help? There are many possible answers, and I’ll highlight a few. Then, I’ll explain what you can do to change the mental health narrative — because it all starts with talking about it. Society has long frowned upon anxious behavior. We view nervousness as a sign that a person does not know what he is doing. But lack of confidence and uncertainty does not mean that you are weak. Not being the first person in a group to respond to a question does not mean that you are not assertive. Not all people are alike, and sometimes crippling anxiety affects a person’s behavior. If you haven’t experienced anxiety on a regular basis, it can be hard to understand how it feels. Anxiety is more than feeling nervous from time to time. To the uninitiated, anxiety may be viewed as something that can be quickly handled with a mind-over-matter approach — but it’s not that simple. Debilitating anxiety may be ever-present, always in the background of a person’s life. It’s not a rare occurrence that pops up as a momentary roadblock; it is the occurrence. It’s almost always there in some shape or form. How it feels may strengthen and weaken, but it tends to cling to a person like a second set of clothes. There are some days that the added weight feels suffocating, and then there are other days that anxiety is just mildly annoying. If you grew up in a household or community in which you don’t talk about your feelings, you may not realize that you don’t have to tolerate extreme feelings of anxiety. You may even think that being anxious — if you even have the words to give a name to it — is how other people feel all the time. You can’t talk about something you don’t have a name for. You can’t speak up if you’ve never been educated about something in the first place. In the hierarchy of mental health issues, anxiety is not typically thought about first. What I mean is that people focus on the mental health issues that get more attention in the media. Reporting on anxiety is not as sensational as reporting on other mental illnesses such as schizophrenia and bipolar disorder. Symptoms like mania, hearing voices, and dealing with delusions are easier to package into short clips and soundbites. Symptoms of anxiety don’t fit that mold. But that does not mean that people with anxiety aren’t struggling. They just might be struggling in silence. From the playground to the classroom to the boardroom, we have been indoctrinated with the belief that to be anxious is to be flawed in some way. Humans are social creatures, so feeling nervous and reticent to engage is not always appreciated. Schools are set up to celebrate the most confident and gregarious students. A student who refuses to get up in front of the classroom to give a presentation is treated as insubordinate and as a problem child. How would the world change if that child were to be treated as someone who might be dealing with intense anxiety? Then, when people transition from student life to professional life, anxiety is not something that neatly fits into typical workplace culture. Long-term absence from work due to physical illness is acceptable. Coworkers put together cards and money for the unfortunate colleague who is out of the office. But it’s not as easy to take time off from work to take care of one’s mental health. Saying you are staying home for the day to manage your anxiety is still not a common occurrence. We are quick to dismiss in others the things we cannot see. Now, what steps can you take to normalize anxiety and bring it out of the shadows? To answer this, I’ll go through each reason in the list above and offer a corresponding solution. Anxiety is not synonymous with weakness. Anxiety is a common brain disorder that affects a large percentage of the population. And when anxiety is managed, it is actually quite helpful. Humans evolved to feel anxious from time to time. Back in the day, we had good reason to be anxious. Being alert and sensitive to changes helped us to see threats and survive to see another day. Fast forward to the modern day, and having some anxiety is actually healthy. Talk about how moderate levels of anxiety helps people to plan, to create to-do lists, and to give structure to the chaos of modern living. You probably can think of examples in your own life of how anxiety has driven you to action and prepared you for what’s to come. Tell people what it’s like. Share your story. Society changes when people demand it. It can feel intimidating, but raising awareness for anxiety is easier than you think. Start small by sharing how you are feeling with a friend or family member. From there, test the waters with a close classmate or coworker. The more you talk about it, the more normal it becomes for you — and when it’s normal for you, it begins to be normal for others. Be the change agent and model what you want to see in others. Your story has value. People can’t grow and learn if they aren’t exposed to anything new, so share your experiences. Do your research. Reach out for help. Help someone who might be struggling. Visit websites like NAMI and the Anxiety and Depression Association of America for information about anxiety disorders. Learn about the various anxiety disorders and how they can negatively affect people’s lives. The key to knowing when anxiety might be a problem for you or someone you know is to be watchful for signs of imbalance. Maybe you are just shy, but would people say you are extremely shy to the point of hardly ever speaking? It could be that your friend is, by nature, indecisive, but have you observed lately that she seems incapable of ever making a decision? Notice that. Be curious, and ask others how they are doing. Ask yourself how you are doing. Once you get better at starting the conversation about mental health issues, you become a powerful force. You become someone who has gained the ability to help and to be helped — and there is no shame in either one. The flu is common. So is bad vision. Mental health issues are just the psychological, social, and emotional manifestations of naturally occurring imbalance and disorder. We don’t fault people for taking off time from work to mend their physical wounds. Talking about anxiety normalizes the help-seeking process associated with caring for emotional wounds. Make people pay attention through education and consciousness-raising. As you talk more about mental health issues, you will notice something strange: you are becoming someone who others look to for guidance. People begin to see you as a mental health advocate and a leader who inspires others to take action. The reality is that certain mental health issues get more attention in the media than others. The symptoms of anxiety are often internal ones, so they aren’t often visible to the untrained eye. Educate others about what it is like to live with anxiety. Start a blog, create a website, or give a presentation about what anxiety looks, sounds, and feels like. You are a teacher, and the world is your classroom. If we had the power to decide what was acceptable in the past, we have the power to decide what is acceptable in the future. You should know by now that living with anxiety is not shameful. There is nothing wrong with you. Some of us just feel emotions more strongly than others. We don’t talk about what is acceptable to discuss when it comes to cancer or stomach problems. Let’s not be that way about mental health issues. Mental health is an acceptable topic for conversation because it is who we are. It drives our thought processes and fuels our behaviors. We need to talk about our mental health because it is at the core of who we are. When we talk about anxiety, we get to know anxiety. We bring it out of the shadows and into the light. And when something is finally out in the open, the power it once had over us disappears.